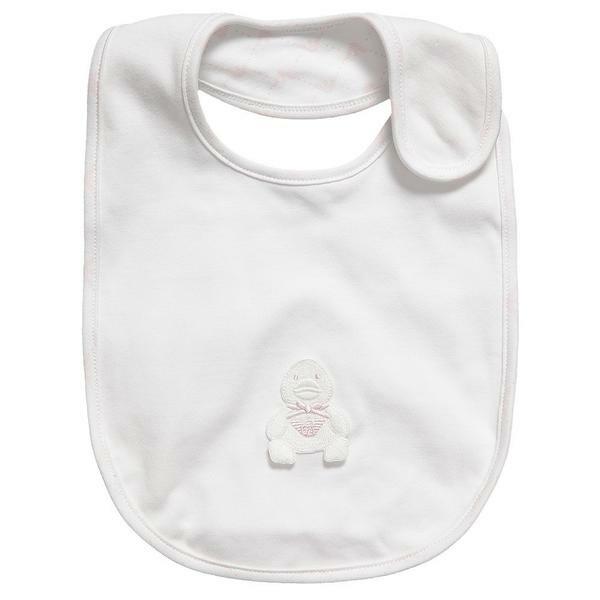 Armani Baby girls wonderful bibs in soft pink and ivory colors. The bibs come with one side snap fasteners. It is an adorable gift set with three types of soft cotton bibs in a gift box. 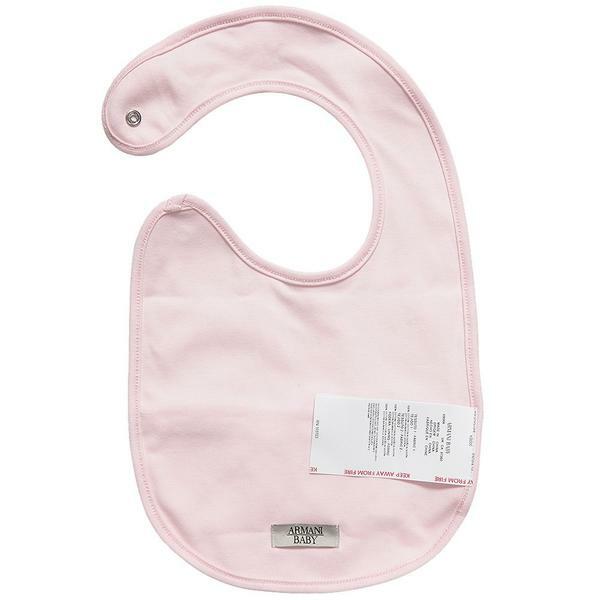 The first pink bib has a beautiful duck applique on the front. The second one has a branded logo print. 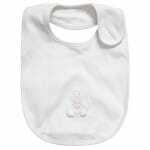 The third bib is white with a small Armani eagle logo print. All three bibs can be cleaned using 30*C machine washing.